Posts regarding stair fabrications, installations, codes, laws and maintenance. We’ve got an announcement! New things are coming to the Floor-Mat Store! 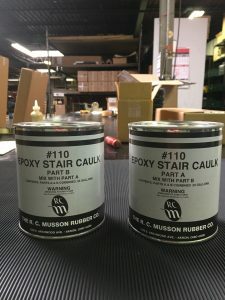 We are currently in the process of replacing our Uno-Tread 901 stair tread and riser combo, and bringing production of them back into the states! You will still be able to get the same beautiful, seamless design you have come to expect, but now with our new replacement tread #900 the colors will match with all of our other treads and landing tiles. That means you will be able to coordinate the color pallet across all of your staircases with the new colors, whether they are closed or open risers. Ultimately leaving you with a far more professional and cohesive look. Our replacement #900 Tread will come in color series 1 and 3. These are made to order with a usual lead time of around four weeks. This entry was posted in Floormatstore.com, stair treads, stairs, Vinyl products and tagged Floor Mat Store, stair tread with riser, stair treads, uno-tread on March 29, 2018 by Derick. This past year we were called out to a company who had some sprawling equipment. 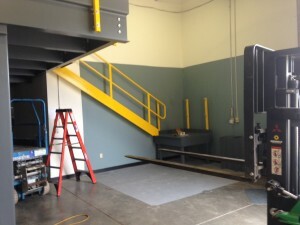 Because of the space required, their employees would be working on the second floor of the left hand mezzanine, and would have to climb down two flights of stairs, cross the forklift aisle, and climb up two more flights of stairs to access the left mezzanine to continue their work. As you can imagine, that was a huge inefficiency. 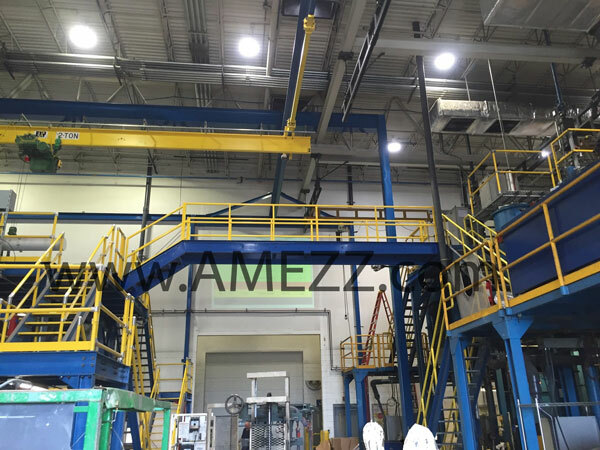 We designed, fabricated, and installed a crossover bridge to allow them to quickly go from one machine to the next without requiring four flights of stairs to be climbed each time, and it also kept them out of the aisleway between the structures. Due to the elevation change between the two structures, we incorporated a stair at the left hand side of the bridge and fabricated the bridge stringers as one piece to allow it to safely reach each side without requiring any additional supports. The left side was designed to mount on top of that mezzanine’s edge framing members and at the right we had to add additional steel to allow the crossover bridge to safely and securely attach to the side of the right hand mezzanine. Everything was painted to match their existing equipment. Ultimately, the customer liked the setup so much that they called us back a few months later to do another crossover just like the one we had completed for another location in their factory. 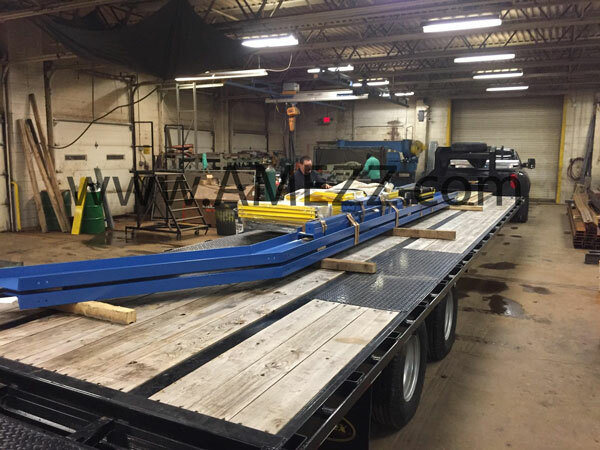 For more information on our custom fabrications please visit our website, email or call. 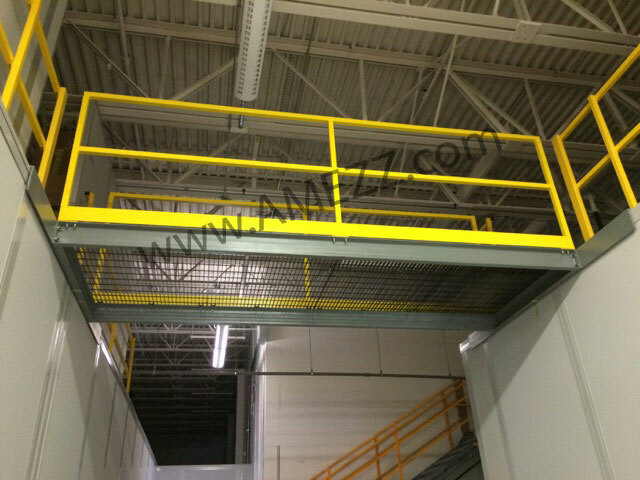 This entry was posted in mezzanines, stairs and tagged custom fabrications, installation on December 29, 2017 by Brett. Recently we’ve been out to a local shop for a lot of projects. This time we were called to supply some catwalk bridges. This helps them better utilize their existing space by gaining extra storage and workstation space from the areas they already had. They have several buildings in their facility that were capable of housing light storage on top of them. Ordinarily, the easiest way to access these spaces is through a pre-engineered steel staircase. The problem you run into when you have many buildings in relatively close vicinity to each other is that floor space is a premium; you can’t afford to block off aisle ways with stairs, and even if you have the space to accommodate multiple stairs to access multiple buildings, it is not very efficient having to run up and down stairs from one structure to go to another. 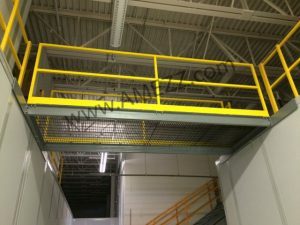 One stair was put in place to access a central building and then a couple of catwalk bridges were fabricated and installed to access the ancillary modular buildings. The catwalk bridges were fabricated so they could be lifted into place with a forklift truck. This allowed for quick, easy installation. This also allowed the customer to remove them relatively quickly should they need the additional vertical clearance to bring larger machinery through their aisles. Attachment to their existing cinder block structure was easy, but mounting to their modular buildings required some extra consideration. Modular buildings are weakest at the panel locations. We supplied angle so the customer could span the angle from multiple posts on the building and then fasten the bridge to the angle. This distributed the load of the bridges across two sturdy posts per side instead of hitting a potentially crushable panel. The catwalk bridges were not going to be centered directly over their panels so the angle was sent extra-long to allow flexibility in their bridge locations. The customer now has access to multiple interior building tops for additional workspace and storage, and hasn’t sacrificed much room on their floor now that they utilized crossover bridges to open up their previously unusable spaces. This entry was posted in ladders, mezzanines, stairs on March 9, 2017 by Brett. 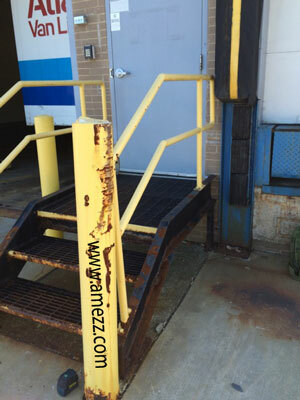 We were recently called out to a site with a dock access stair that had seen better days. It got a lot of use, but by the looks of it, had been neglected from a maintenance standpoint. 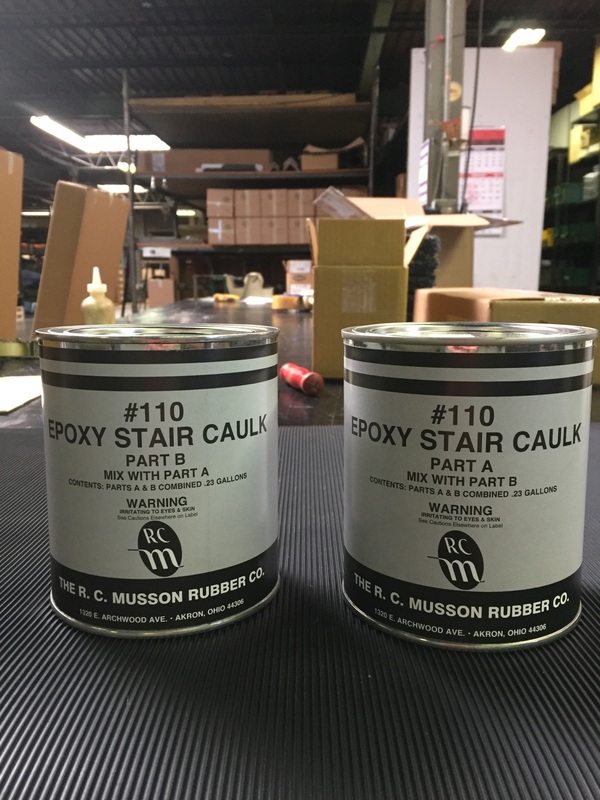 Enamel paint is a great finish if it is maintained, but when left outside around the salt and high traffic to be found on a dock stair it won’t take long to rust without maintenance. This stair had the painted stair tread nosings all rusted away to a brittle, porous edge. The stringers and support columns all had given way to rust beyond what was fixable with a repair job. 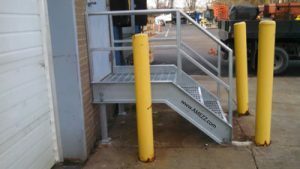 The most economical solution for our customer was to have a replacement set of stairs fabricated and hot dipped galvanized. 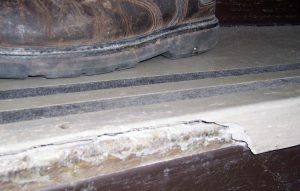 The cost of repair – cutting the current stairs apart, brush/blasting the existing rust out, cutting steel to weld into deteriorated sections, grinding and painting the product – all in the field would have taken much more time than having replacement stairs fabricated in the shop and brought out to the site. 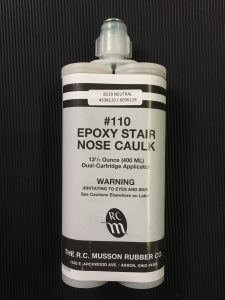 Furthermore we didn’t want to put a “Band-Aid” on the existing stairs by repairing them, knowing the customer wanted to have something in place to forget about. Fabricating a new stair with a hot dipped galvanized would greatly increase the lifespan of the stairs. There is no touch-up painting required and galvanized products can last 5x as long as painted steel. 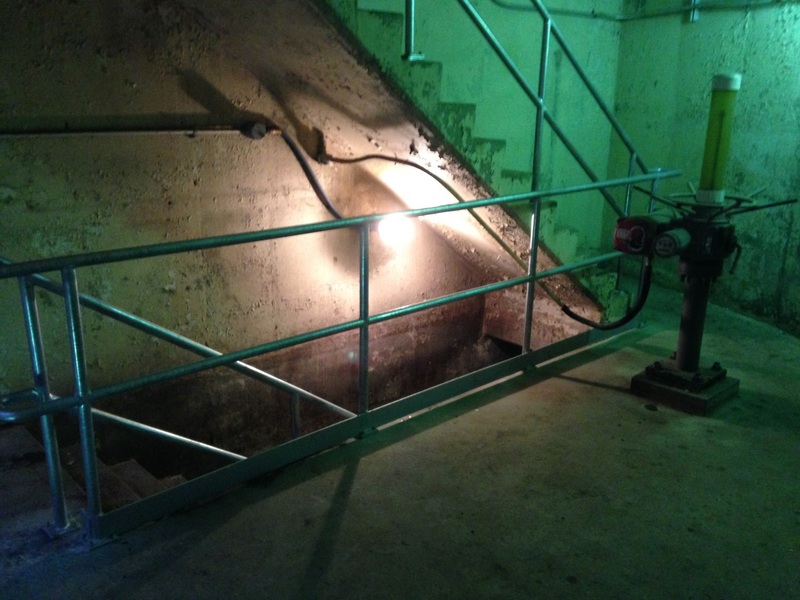 A-Mezz did a site visit to verify conditions and get the existing stair’s measurements. During the visit it was determined that the floor wasn’t completely level. We made the support columns slotted to allow for minor adjustment in the field. This will be more user friendly than making the stair flat and requiring shimming. We didn’t want to fabricate each leg a different length should they one day move it to a new location or have the floor surface refinished in the future. A-Mezz fabricated and pre-assembled as much of the stair and landing as possible in the shop to minimize the time on site with door access out of service as this was a busy dock entrance door. The existing stairs were demo’d and the new stairs were installed in all one morning. The customer’s new dock stairs will have a long service life due to the hot dipped galvanized finish. The stairs will be able to tackle snow and ice easily with the bar grating treads, and look attractive for years to come – all at a price that was less than repair. This entry was posted in installation, stairs and tagged construction stairs, custom fabrications, galvanized, galvanized stairs, staircase, stairs on November 18, 2016 by Brett. 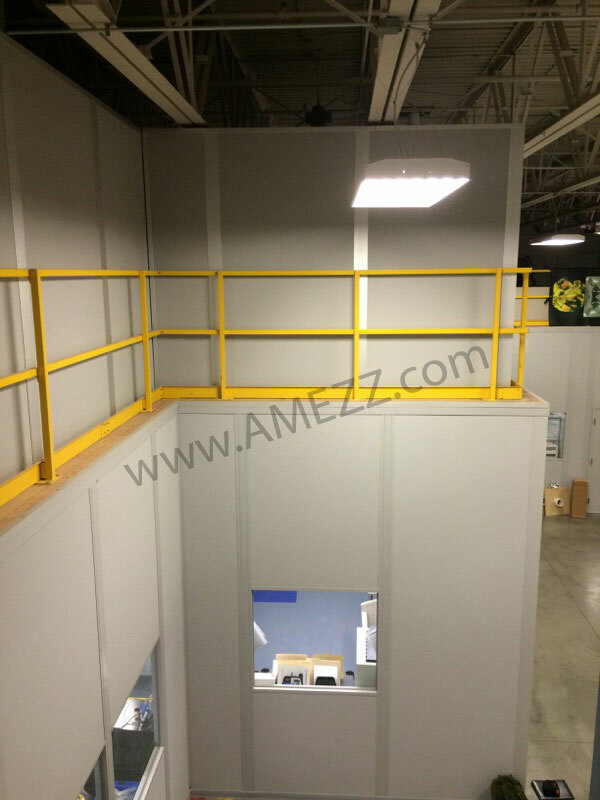 Previously, I had written a blog post briefly discussing how to put one of our mezzanines together. It had a lot of good photos taken during the installation, so I was able to go through section by section what was done. There was one particular area I didn’t get to to over in much detail though; the stairs. While with the previous system that I wrote about, the customer designed and fabricated their own staircase, I recently received a fantastic series of photos from the installation of another system; this time with partially installed stairs included. 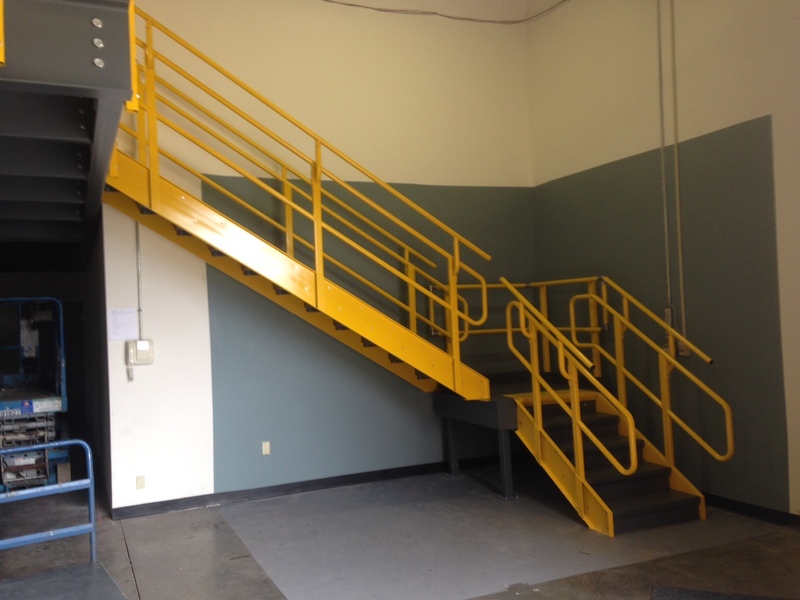 The IBC stairs for or mezzanine systems ship in knock down form and need to be installed in the field. When installing them, you’ll want to lay the stringers on the floor about 3’ apart with the closed face of the stringers inward. 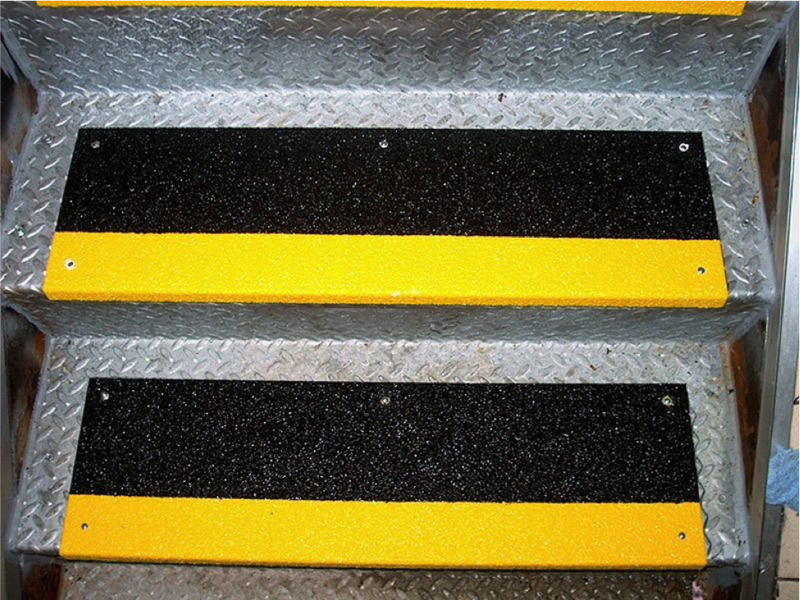 The diamond tread stair treads consist of a closed back riser and stair tread weldment. Starting with the top tread and riser, you’ll need to bolt the the tread to the stringer fastening it on the inside of the tread. Only hand tighten the bolts at this time, then work your way down positioning the riser of the next tread behind the flat weldment of the nose on the tread above. After all the treads have been attached to the stringers (hand snug) you’ll need to install the bottom riser using self tapping screws. 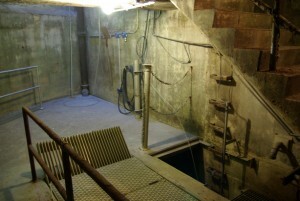 You’ll then need to hoist the stairs up to the mezzanine deck. Making sure that the dimension from the top of the deck to the top tread is equal to the dimension between the other treads, you’ll need to field drill the the attachment holes using a 9/16” drill and attach it to the mezzanine system. You’ll also need to install the top tread plate on top of the mezzanine deck closing off the riser from your first tread. From the underside, you’ll need to tighten up all the bolts and attach the risers to the back of the above tread’s nose via a couple self tapping screws. Afterwards you’ll need to anchor the stairs to the ground. Now all that’s left is to finish off the handrail. The hoops that form the 21” and 36” handrails and handrail extensions come already welded to the stringers. On each of the uprights, you’ll need to attach an elbow assembly via self tapping screws. This will provide you with the saddles to support the outer 42” handrail. 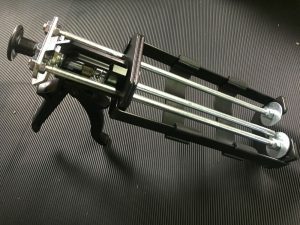 You’ll need to take a piece of guardrail pipe for each side, and lay them flush against the saddles, fixing them in place with self tapping screws once again. As the top line of rail will be longer than the stair run, you’ll want to drop a plumb line from the bottom edge of the rail to the edge of the mezzanine deck and again to the front edge of the bottom stair tread, cutting the pipe square. Finally, you’ll need to install a plastic plug cap in the openings of the top rail to finish it off. 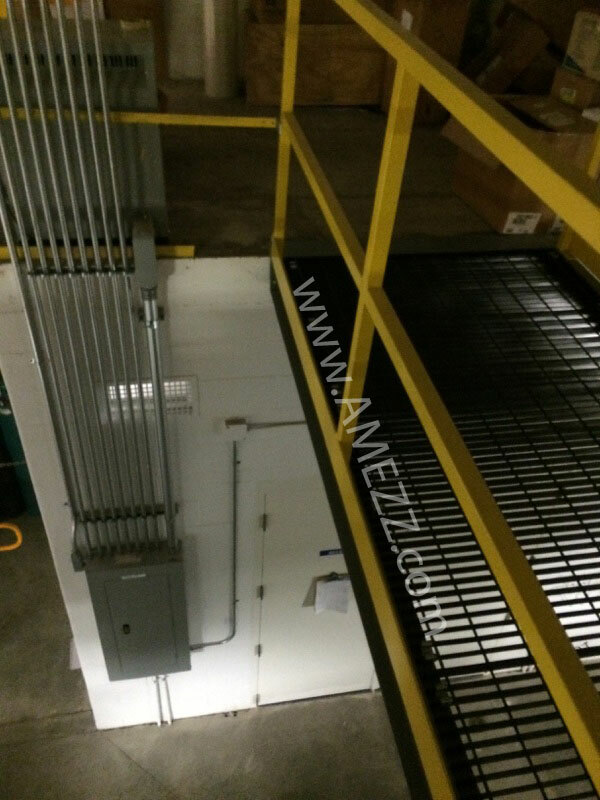 This entry was posted in Elevated structure, installation, mezzanines, stairs and tagged IBC stairs, installation, staircase, stairs on July 18, 2016 by Derick. 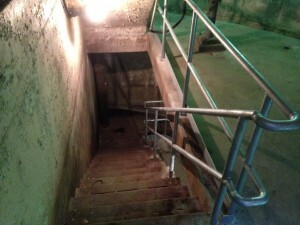 Many locations have old stairs that need to fixed or replaced due to age, damage etc. Generally speaking regardless of the code in place when the original stair was made, you will need to update your stair to the current building code (IBC) when you replace stairs. 3404.1 General. Except as provided by Section 3401.4 or this section, alterations to any building or structure shall comply with the requirements of the code for new construction. Alterations shall be such that the existing building or structure is no less complying with the provisions of this code than the existing building or structure was prior to the alteration. 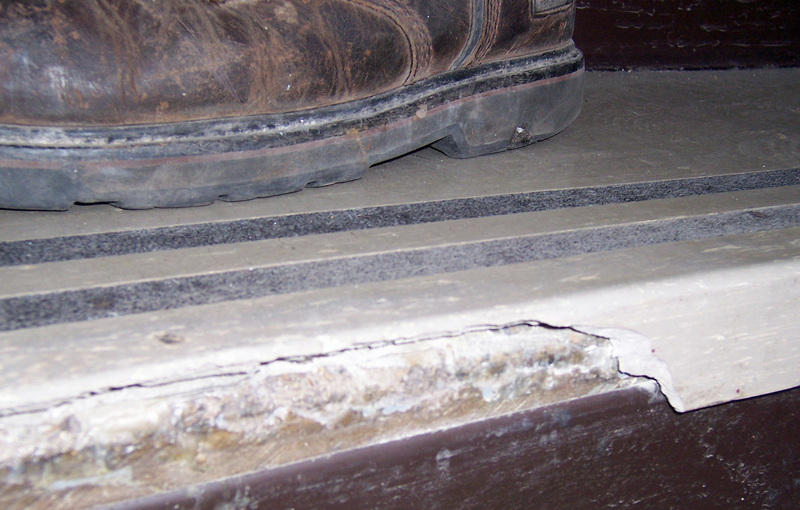 This becomes an issue when stairs are installed in tight locations under codes that vary greatly from today’s current International Building Code (IBC) variants. Imagine having a 12’ high stair in place with a riser height of 9” and a tread depth of 9”. This stair would have (16) treads, 9”deep for a total run of 11’3”. If the replacement stairs would be required to meet IBC code (adopted by all of the states) they would now need to have (20) treads, 11” deep for a total run of 18’4”. The IBC stairs would extend 7’1” further than the originally installed stairs. The increased run and decreased slope can wreak havoc on your facilities if the original stairs stopped right before a hallway (new stairs would extend well into the hallway) or if the stairs are enclosed (new slope would cause head clearance issues with existing structure). An existing stairway shall not be required to comply with the requirements of Section 1009 where the existing space and construction does not allow a reduction in pitch or slope. Handrails otherwise required to comply with Section 1009.12 shall not be required to comply with the requirements of Section 1012.6 regarding full extension of the handrails where such extensions would be hazardous due to plan configuration. Why the exemption for stairs (and possibly ramps, though not specifically called out)? The thinking behind the exemption is that without it, stairs that need to be replaced and are not safe will be neglected and not maintained due to the inability to bring them up to current codes. It is better to have a well maintained stair meeting an earlier code than have a poorly maintained stair that doesn’t meet current codes. This entry was posted in stairs and tagged construction stairs, galvanized stairs, safety tips, stairs on April 27, 2016 by Brett. Winter is coming… and it’s time to shift from tackling outdoor projects to indoor ones. At the floormat-store.com division, that tends to mean a spike in stair tread inquiries. 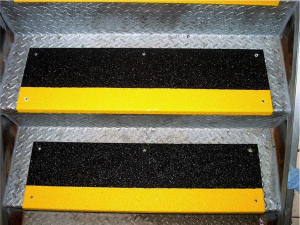 Installing indoor rubber and vinyl stair treads is a great cold weather project. 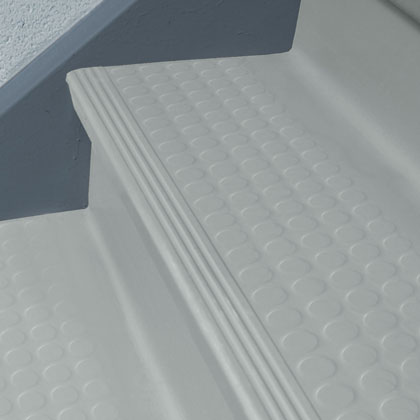 What most customers forget to consider when attempting a stair tread project when it gets cold though, is the adhesive. 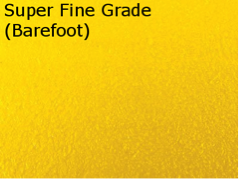 Rubber and vinyl flooring adhesives have minimum temperatures usually around 65°F. If the temperature of the room you’re installing in isn’t at or above the minimum, you’ll be waiting a long time for the adhesive to set. 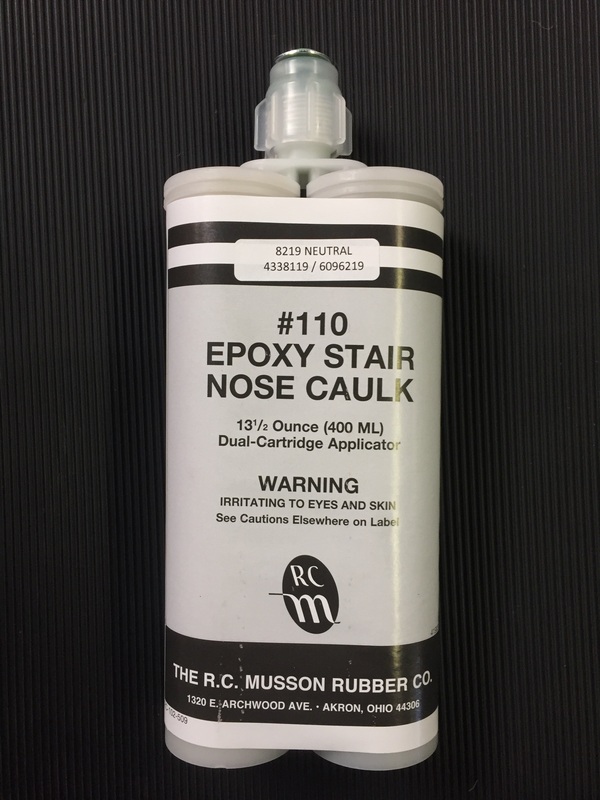 Every year, we get a few customers calling with the complaint that the adhesive they received was a bad batch. So far, every time, it wasn’t the adhesive’s fault. The installer failed to read the instructions thoroughly enough to catch that temperature warning. Usually, it’s an unfinished basement or the few steps that lead from the garage to the house, but with the kids out of school over Thanksgiving and winter break, cold stair wells in schools are a common application, too. Most adhesives also need around 24 hours to set in ideal situations, so leave that heat on for a day (or two) after you finish. While keeping the temperature in mind, you’ll also want to consider that a lot of adhesive options require a well ventilated area. In summer that’s easy – just open some windows and doors and wear a mask. As it gets cold outside though, leaving those open isn’t an option. 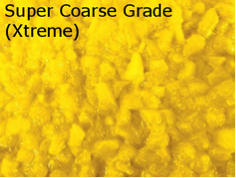 So make sure to get a low VOC adhesive that will work for the application. The last thing you want is to pass out from the fumes while installing stair treads – ouch! 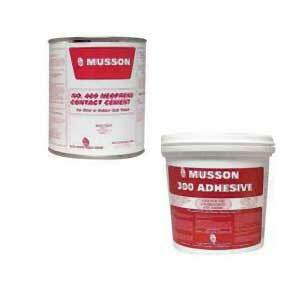 A water-based contact adhesive, like Musson’s #300, works for both rubber and vinyl treads, risers and tiles, going over concrete, wood, terrazzo, metal and marble – and typically have 0 VOCs. That safely covers just about any application. Best of luck and stay safe with your projects. This entry was posted in stairs and tagged installation, maintenance, stairs on December 9, 2015 by Brett. We recently were called out to a site with a corrosive environment that was in need of replacement stair rails as all of the original handrails were rusting and in disrepair. The paint was almost all chipped up, and some areas of the handrails were so corroded you had to choose between risking a fall by not grabbing the stair handrails, and grabbing the handrails but risking the need for a tetanus shot. The above picture shows the lowest section with a bollard and chain assembly “protecting” the pit ladder that is bent, corroded and weakened at the base. It also doesn’t meet OSHA standards for rail heights or strength at top rail. You can also see the rusted handrail and stair rail. 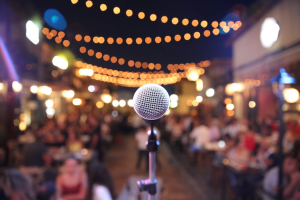 Anytime you have a damp environment it’s best to use a material besides carbon steel – Galvanized steel, aluminum or stainless steel all perform much better over time. Remember that corrosion doesn’t just make the metals look bad, but it also weakens them, substantially lessening their lifetime usability. Sure, the other metal options cost more than plain carbon steel, but when you have to replace the material before its time you have to pay for demo of the inferior material, fabrication of the new material, installation of the new material and have the lost time from the job being out of service during that process. Here is the same view after we finished. We removed the bollard and replaced it with one with a more sturdy post and baseplate. The chains were removed and replaced with our MLG Ladder Safety Gate with a hot dipped galvanized finish. The new set-up is going to stand up to the moist, caustic environment much better and easily meets OSHA standards for guarding at a ladderway opening. All of the new handrails were done to OSHA standards with a 4” toe kick at the bottom, a 21” mid rail and a 42” top rail. Along the stairs, the stair rails were 34” high from the edge of the nosing. There was no wall mounted rail as the stair width is less than 44” wide and there is only one open side. The replacement stair rails are designed for a seamless transition between flights, allowing someone to slide their hand from the top rail to the bottom of the stairs without letting go of the rail. This gives a nice, clean look and also allows for safer access and increased strength of rails. Added strength also comes from the baseplate design with a four bolt pattern to maximize rail strength and minimize movement regardless of where pressure is applied front, back, top etc. There were some unique challenges to this project with the winding rails, but with proper site dimensions and knowing the details about the installation environment, it was quite easy to supply this customer with replacement rails that fit and will last them a lot longer than their previous set. 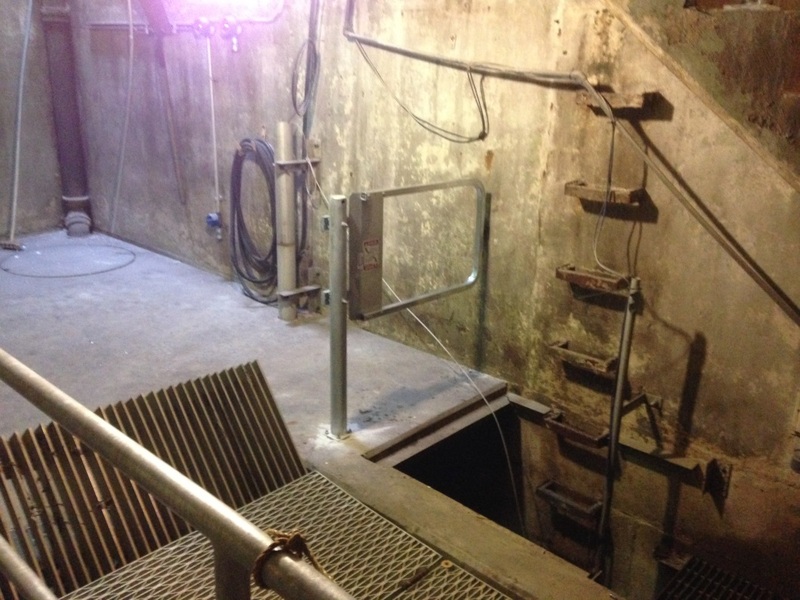 This entry was posted in Safety Gates, stairs and tagged galvanized stairs, Handrails, safety gates on July 29, 2015 by Brett.